He took a step toward them and both of them looked up and smiled. "Hi Shooter!" Autumn called out. Hugs smiled but didn't say anything. She'd called him 'Mr. James' until he asked her to call him Shooter for about the tenth time. It didn't work the way he thought it would. Pretty obviously uncomfortable and embarrassed, she didn't call him 'Mr. James' or Shooter. "Hi," she finally said, avoiding the name issue completely. Ok he could deal with that. Hi was as good a name as Shooter. 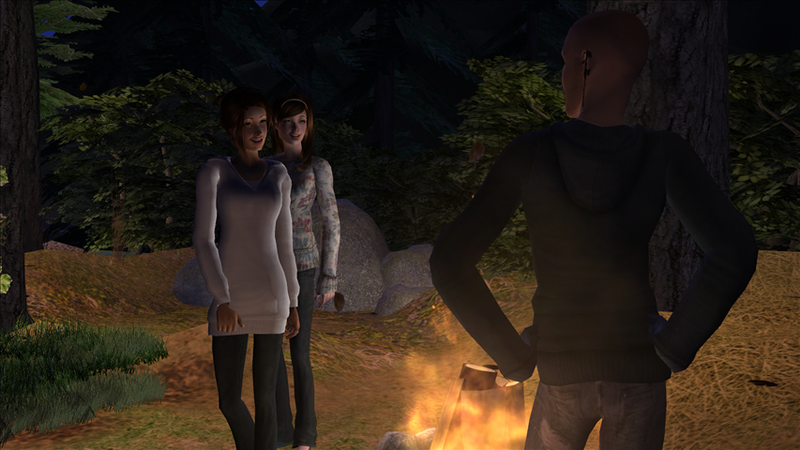 Autumn got to her feet and sashayed around the fire while Hugs hung back. "He's in the house. So are you still leaving on the tour tomorrow?" "That's the plan. What are you girls doing out here by yourselves?" "We're working on a science project, you know, for botany, mountain botany." Shooter looked at her dubiously, pretty sure that botany was plants, going with that. 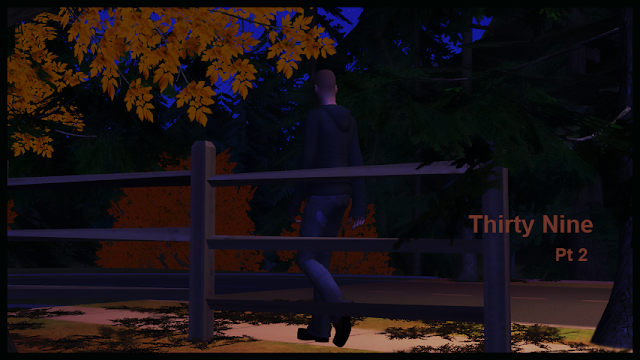 "You're studying botany out here in the dark?" "We're just taking a little break." Autumn's smile lit up her face. "Are you going to need help taking care of your house while you're gone? We could rake the leaves." "We could water the plants," Hugs added from two feet back. "Your dad's gonna take care of the house so if he wants help with the plants you can ask him about it. I don't rake the leaves you know. Kind of no point because of the woods." "We can keep them off the deck though." Hugs was clenching her hands under her chin and blushing. "We can move them from the deck to the woods." These girls couldn't be more than fourteen and probably had band posters in their rooms. In a few more years, they'd probably be breaking hearts all over but for now he definitely didn’t want them in his house. "Yeah well your dad’s gonna take care of things Autumn. Ask your dad if you can help while he’s there. There in the house. Not by yourself." "Uh...I'm gonna talk to your dad and leave him the key. See you girls later." They waited until he was halfway across the road before they started to giggle. "What are you talking about," Hugs gasped. "My dad will never let me go in his house! We should have asked him to send us something from the tour." Autumn laughed harder. "Maybe he'll let you help me. We can go all over his house, we can look everywhere." Both girls doubled over with laughter as Shooter shook his head and kept walking. Cooper would let his daughter go in his house, she was wrong about that, but he’d make someone chaperon her from room to room. Just in case, you know, he’d left underwear lying around. If she happened to go rummaging around in his bedside table or the bathroom...yeah that would be the end of the world all right. 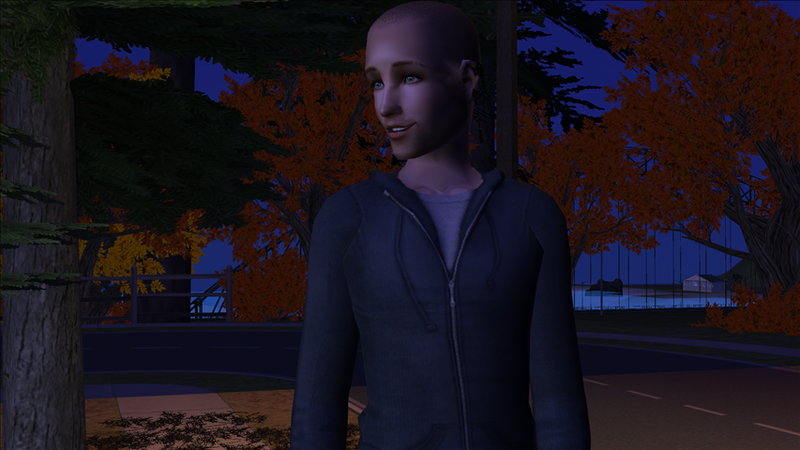 The man was a maniac about that kid, and there she was, hanging out in the dark with Autumn who hung out at night at the telescope with the boy across the street. Rafe wouldn't be so keen about it either. He wasn't sure what he knew about the telescope visits and wasn't gonna be the one to tell him. If anyone asked him though, he’d never seen either of them do anything in the dark or the light with anyone. Or look at underwear either.